Louisville, Kentucky (June 20, 2018) – With fall on the horizon, the 62nd Annual St. James Court Art Show is back and will again be held the first full weekend in October. What was once just a way for residents of the neighborhood to pay their bills has become a “Top 10 Fine Arts and Craft Show in the U.S.” as ranked by Sunshine Artist Magazine (September 2017). Howard Rosenberg has been named the new Executive Director of the St. James Court Art Show. Rosenberg has been an active member of the Old Louisville community since he moved there in the early 80’s. He currently serves as the Chair on the Old Louisville Neighborhood Council and the Garvin Gate Blues Festival. Rosenberg is also an active member of the Jewish Community Federation. 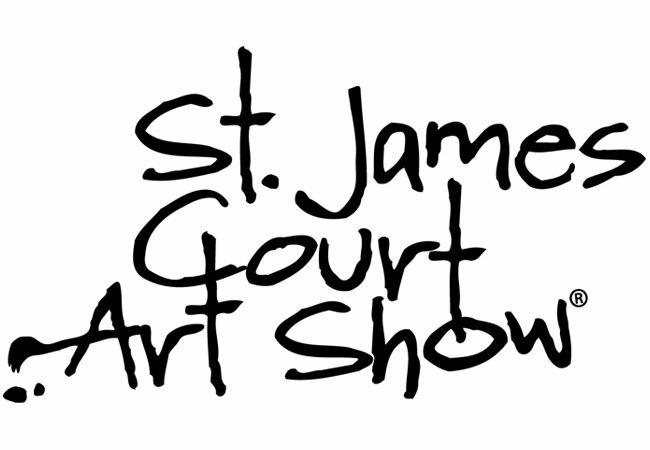 The St. James Court Art Show takes place on Friday, October 5th and Saturday, October 6th from 10:00a.m. to 6:00p.m. and Sunday, October 7th from 10:00a.m. to 5:00p.m. Admission is free, and the art show is a rain or shine event held in historic Old Louisville, one of the largest preserved districts of Victorian architecture in the United States. The show began on St. James Court and has since expanded to Belgravia Court, South Fourth Street, Third Street, 1300 Third Street Neighborhood Association and the West End Baptist Church. In the early years of the art show, profits were around $700, and attendance was approximately 40,000. Today the St. James Court Art Show attracts over 150,000 visitors and tops $3 million in sales, while showcasing more than 700 artists. A portion of those profits profits also help fund scholarships for the St. James Court Art Show H.S. Scholarship Competition, which annually awards over $52,000 total to six deserving high school art students. St. James Court Art Show also has a grant process that supports several other Old Louisville non-profits and events such as, The Cabbage Patch Settlement House, Garvin Gate Blues Festival, Old Louisville Springfest, Shakespeare in the Park, Central Park Clean Up and many others. Profits also benefit the preservation of the iconic St. James Court fountain and the Old Louisville neighborhood. The maintenance of the iconic St. James Court Fountain alone can cost $10,000-$30,000 a year, and the neighborhood is also responsible for maintaining the greens, trees, sidewalks, gas lights, lions and urns of the court. Those who live in Old Louisville benefit from the amenities of the neighborhood, as do the thousands of visitors.